Come join Muzvare Betty Makoni for a radio show on Pamtengo (www.pamtengo.com) that empowers you to be what you want to be. Come and speak to the multi award winner in child protection, women empowerment and mother and wife who has built a strong relationship at home and thousands of networks round the world. Betty Makoni one of the few prolific and motivational speakers who make you drop a needle in the middle of her speeches and none gets to hear a slight sound. This is the woman Afrikan Goddess award has given the first ever prestigious award in 2012 and singled her out as unique and woman of substance. Come meet a woman CNN announced as one of the top ten heroes out of a possible 9000 applicants. Come and speak to a woman Newsweek has singled out as amongst 150 who shake the world. Come meet the woman who gives her time to everyone and helps to bring everyone. 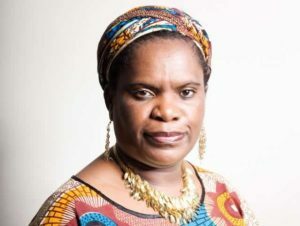 MuzvareBetty Makoni believes that, `No one woman or girl in this world is born to be violated in any way and speak out `I talk about issues that affect girls and women and how they can be tackled.